I was still wearing my #7 Portland Timbers uniform as I sat in a wheelchair on 18th street outside the stadium of Providence Park. The throbbing pain had reduced to a dull ache as I waited for my ride to the hospital. A half hour ago I had been stretchered off the field with a possible career-ending injury. Although the team doctors seemed convinced of the diagnosis, I needed to be 100% sure. You mean to tell me my career is over? I glanced over at the parking lot adjacent to the stadium and spotted a brand-new BMW. It was painted jet black and it sparkled in the hot July sun. It was the car I had always wanted since my rookie year as a professional soccer player. I closed my eyes. Had it really been 14 years? Stay away from alligators Nat. It’s all about flow. The year was 2003. Standing in the parking lot outside the locker room, I marveled at the new car. Sleek, low to the ground, big rims, and clean. Really clean. It was what a successful professional soccer player should drive. It belonged to him. He was a younger guy who had been in the league a few years longer than me. Brand spanking new: huge rims, sunroof, clean. It stared at me seductively. Looking over to the other side of the parking lot, I saw a veteran player about to get into his older sedan. Compared to the new car, the sedan looked well used. Other players would crack jokes about the car, calling him “Grandpa” when they saw him driving it and claiming that it looked like a “cop car”. It never seemed to bother him. He flashed a smile at me and waved me over. "Stay away from alligators Nat. It’s all about flow." He laughed and asked if I knew the price tag. I thought for a second, a brand new ’03 BMW, 5 Series, fully equipped. “$40,000,” I said confidently. I’d been pricing these cars ever since I signed my first contract with the Colorado Rapids. I felt frustrated. “What is my other option man? I mean I want to drive a nice car, not some old thing like…” I trailed off as my eyes settled on his car. He went on, speaking more passionately, “Do you know how much this old car costs me every month?” I thought for a second, not wanting to give a wrong answer. “$200-$300 a month?” I asked. “No, I didn’t say the car was free. I said I have flow. My investments pay for my car. For example, the car payment and other expenses for the car all total about $300 each month. Whoa. This guy drives a beat up old sedan but he owns real estate? Don’t you need to have a ton of money to invest in real estate? I wondered to myself. “Hey Borchers! 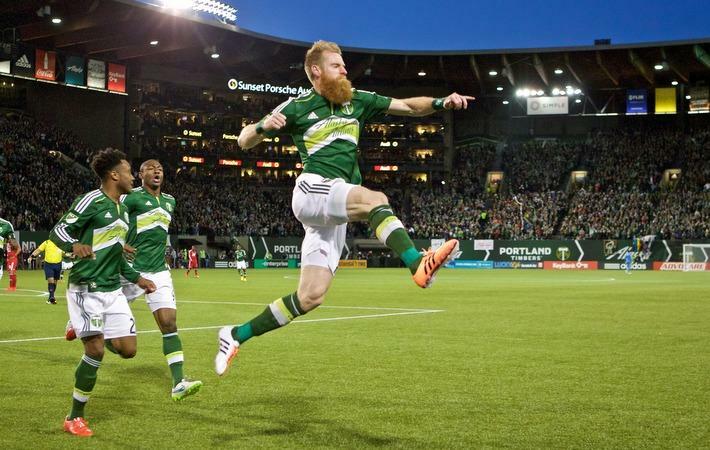 Borchers!” I opened my eyes. I was back outside the stadium sitting in my wheelchair. The game was over and Timbers fans were streaming out. Some stopped to shake my hand and ask how I was doing. The beautiful BMW stared at me from across the street. I looked around, “Where the heck is my wife?” Around the corner, I spotted her driving our ’08 Chevrolet Malibu. However, despite my predicament, I smiled. Flow pays for that. As we drove by the BMW I smiled. is a retired professional soccer player, ambassador, broadcaster, and real estate investor.